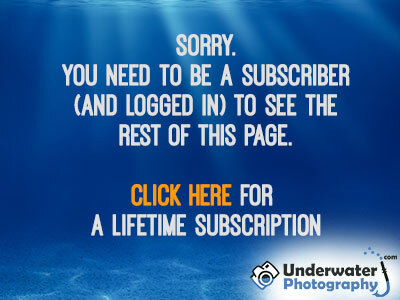 Underwater photography suits subjects at the extremes  both large and close, or small and close. For large, close subjects we use a wide angle lensA wide angle lens is one that has an angle of view significantly wider than a normal human perspective. Typically less than 28mm (on the 35mm system). and for small, close subjects we use a macro lensAn extreme closeup lens..
We will look at lenses (and equipment generally) in the next chapter. For now, let's just quickly consider one very important aspect of every picture - focus.